No matter what kind of fencing you need, Ware Fencing has exactly what you need. We have years of experience in not only residential, but also commercial, farm, and ranch fence repairs and installations. 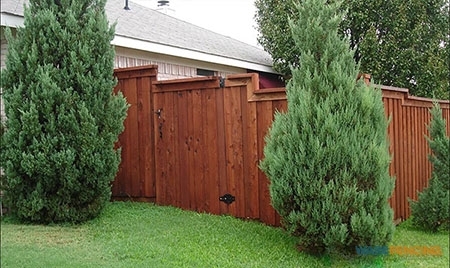 Residential wood fences are available in cedar and bamboo options, depending on your needs. If you need a permanent or temporary fence at an affordable price, chain link is the way to go. 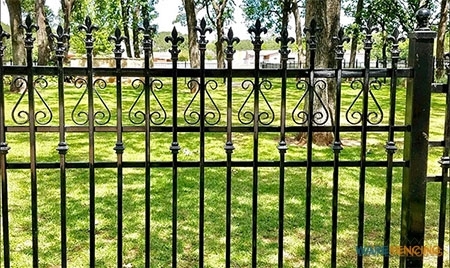 For beautiful styles and reliable security, you can rely on a wrought iron fence. Rising in popularity for suburban homes, aluminum fences are sturdy, stylish, and affordable. We Provide The Ideal Fences For Your Home Or Business! Welcome to Ware Fencing, your preferred source of fence repair in Crowley and Fort Worth, TX and the surrounding areas! With years of experience in the industry, our experts can help you with all of your fence installation and fence repair needs, for any type of home or property. Give us a call at 817-948-4503 to get started. Our team works with you every step of the way to find the perfect fence for you, that will meet your budget and needs. At Ware Fencing, we offer a variety of fence installation services, for residential, commercial, and even farm or ranch properties. We have an A+ rating with the BBB, and we are committed to providing excellent customer service, along with high-quality results. When you need an affordable fence installation or just a fence repair, you can count on our team to get the job done right. We work quickly, and our job isn’t complete until you are completely satisfied with the results. If you find yourself in need of reliable as well as affordable fence replacement or fence repair services, Ware Fencing is the company you can count on. 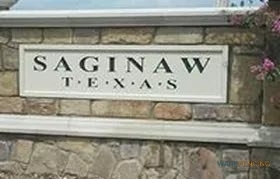 We have been providing quality fence installation in Crowley and Fort Worth, TX for years, and we are committed to excellence. Customer satisfaction and quality results are our primary goals, so our job is not complete until you’re happy with our results. Our services are available in residential, commercial, and farm or ranch properties because we are comprehensive fence professionals. We have experience with many kinds of quality fences, and we love what we do. Why wait? 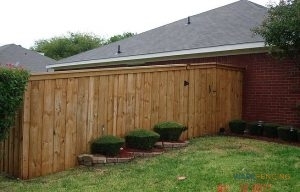 Contact our team at 817-948-4503 to get your dream fence today! We are most commonly called for our extensive list of residential services, such as wood fencing, wrought iron, and aluminum. For residential wood fences, we offer cedar, and bamboo as well. Cedar fencing is typically the most popular, thanks to its rustic style and durable build, but bamboo fencing is considered the most environmentally friendly. Aluminum is also a great choice if you are looking for an affordable fence to keep your children or pets safely in your yard. If you are looking for something with more of an estate feel to it, we offer wrought iron fence options that can add a sense of elegance to any home. If you are interested in learning more about our residential services, check out the links below, or speak with one of our experts today. 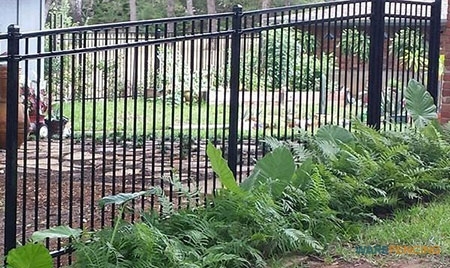 We even offer custom fences that can be designed to your precise specifications. Wood Fences If you prefer a traditional aesthetic at an affordable price, our wood fences options are a great choice. Iron Fences Wroght iron has been a reliable choice for centuries and offers elegant protection. Aluminum Fences Affordable and lightweight, aluminum fencing is perfect for long-term containment of your property line. Chain Link Fences Chain link fences are popular in both temporary and permanent areas. Pool Safety Fences Installing a pool safety fence can protect you from liability issues, and even save a life! Security Fences Feel safer in your home with a quality security fence from the experts at Ware Fencing! Fence Design Are you looking for something unique and functional? Our custom fence designs may be the solution! Make Your Gates Safer And More Efficient With Automatic Entry. Beyond our residential fencing service, our farm and ranch fences are also very popular. Whether you are intending to mark your property lines or to contain varying species of livestock, our experts can help you get the fence you need. We have a variety of livestock fences to choose from, including safe horse fencing, such as our pipe and cable. This fencing style has a bit of give, which significantly lowers the chance of injury to the horses. Another reason many large property owners come to us, is that Texas fencing laws can be very complex, and change from county to county. 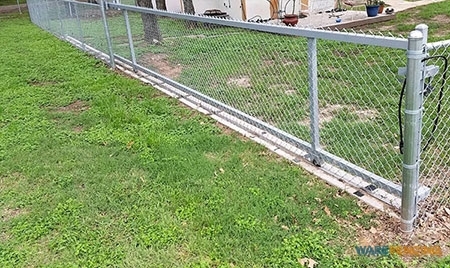 We are experienced with fence installation, fence replacement, and fence repair in Crowley and Fort Worth, TX, as well as the surrounding areas, and we know the fencing laws completely. In order to take the guesswork out, you can give us a call and ask to speak with one of our experts. We will help you choose a fence that suits your needs, and is installed in a legal and proper manner. We also install plenty of barbed wire fences, efficiently, quickly, and for a great price. Barbed wire can be tricky as well as more expensive to install on your own, so be sure to call our professionals for assistance. We even offer electric fence options, which are great for safely containing your livestock. If you sell cattle hides, electric fences are a great way to ensure there are fewer scratches on your cattle, and it can also protect your animals from injury or infection. Furthermore, electric fencing actually teaches your animals not to touch the fence, which improves the longevity of your fence investment. To learn more about our farm and ranch fence options, give us a call today at 817-948-4503, or check out the links below! Cattle Fencing We offer a variety of fencing solutions that can effectively contain your cattle! Horse Fencing Horses often require special fencing for their safety, and we offer several safe fence options. Pipe & Cable Fencing One of our most popular fence choices for horses, this durable fencing will serve your property for decades. Barbed Wire Fencing For a fast and affordable way to mark miles of property lines, you can rely on old-fashioned barbed wire! Split Rail Fencing For a traditional and sturdy solution, you may be interested in a wooden split rail fence. 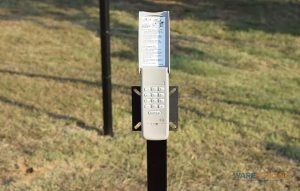 Electric Fences Electric fences are incredibly useful, and may even be more affordable than you think! When you are putting together the ideal landscape for your home or business, there are many things to consider, such as the greenery, possible seating or statues, and of course, the stone work. Stone has been used to for both functional and aesthetic uses in homes and landscapes for centuries, and with good reason. Stone fixtures, as well as those made from concrete, last for many years, and requires very little maintenance, aside from the occasional pressure wash. Additionally, a properly installed stone, rock, or concrete addition can truly enhance the final impression of your landscape. Here at Ware Fencing, we offer a variety of dependable stone and rock services, including custom flagstone walkways, and durable retaining walls. We can even incorporate a stone, concrete, or brick into your fencing, for an extra durable, and classic estate aesthetic. To learn more, give us a call at 817-948-4503, or check out the links below! Flagstone Walkways A flagstone walkway adds a sense of luxury and style to your landscape, for a surprisingly affordable price. Rock & Concrete Retaining Walls Retaining walls are perfect for gardens, fountains, and areas of interest in your landscaping. Rock & Brick Fence Columns Enhancing your fence with brick columns is a great way to increase the longevity of your fencing, while also decreasing the amount of maintenance. Updated on September 20, 2018 at 9:02 am by Ware Fencing.